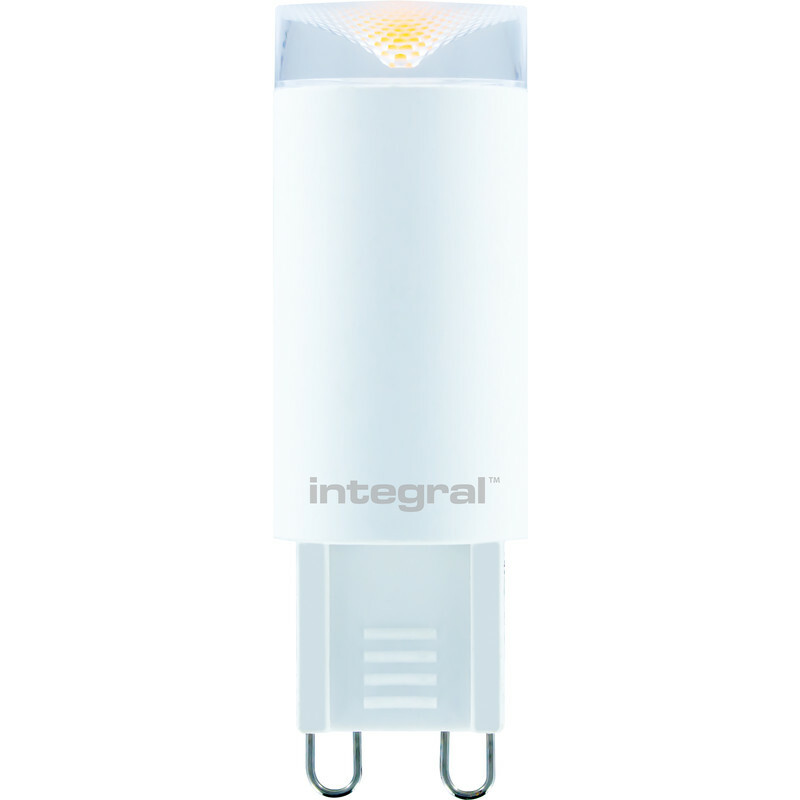 Integral LED G9 Capsule Lamp 3.2W Cool White 320lm is rated 4.3 out of 5 by 15. Rated 5 out of 5 by Big 1 from Excellent Product This item will last a lot longer than normal bulbs, so will pay for it’s self over time. Rated 5 out of 5 by Johnpc from Good light distribution Purchased set for bathroom ceiling light (4 light holder). Excellent soft lighting, not harsh. good directional light spread. Rated 4 out of 5 by Andy C from Nice warm colour light Fitted these in a ceiling light in the hall - there's no natural light in that area but these just about add enough. Notice the tip of the bulb - the light can be quite directional, so in our case while it does emit sufficient light we do benefit from some reflective light. All in all - good value, but I can see some situations where the bulb design might not suit the requirements. Rated 5 out of 5 by Teddybear from Excellent Great value and so much cheaper than other places.